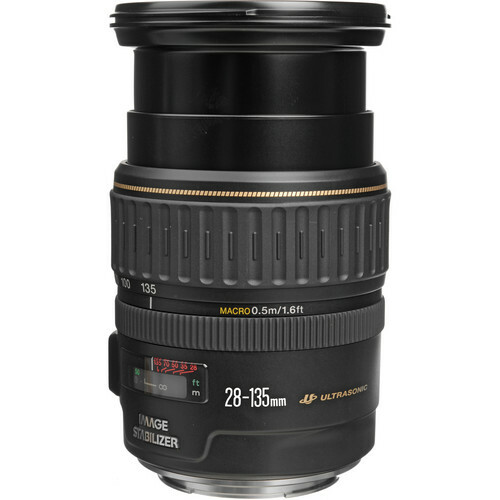 The EF 28-135mm f/3.5-5.6 IS USM has an excellent focal length coverage of 28-135mm. It can be used for the purpose of extremely wide frames as well as taking pictures of subjects at a distance. 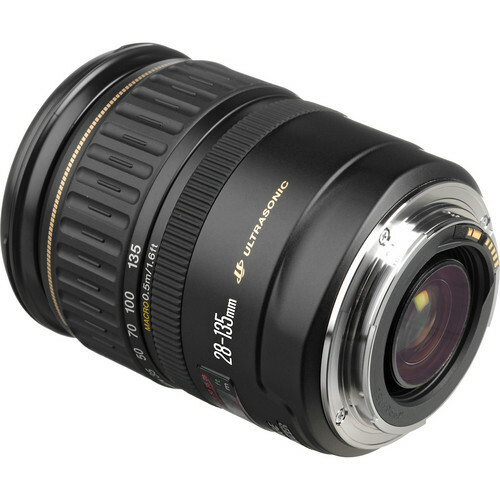 The overall weight of the lens is 540 grams making it an ideal alternative to the EF 24-105mm f/4L IS USM. It costs nearly three times more and you have to forego a bit of the tele range for some gain at the wide angle. But it is heavier by 130 grams which means that much more weight to carry around when shooting. The lens has Canon’s Ring-type USM (Ultra-sonic motor) which ensures that the auto-focusing capabilities are not only accurate but also fast and quiet. Full-time Manual option allows the user to switch from auto to manual focusing just by turning the focusing ring. Closest focusing distance of the lens is 1.6 feet. 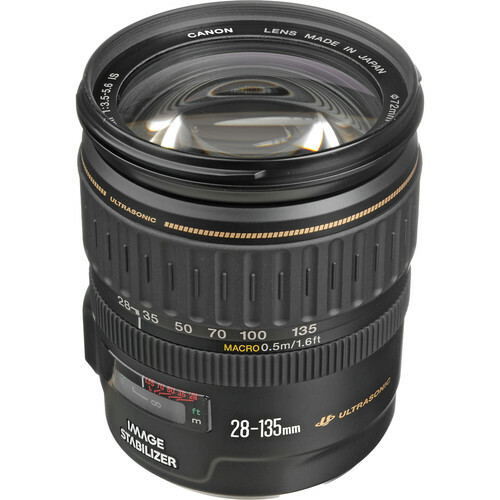 The EF 28-135mm f/3.5-5.6 IS USM has a total of 16 elements arranged in 12 groups including a molded aspherical glass element and has an external dimension of 3.1″ x 3.8. Overall weight of the lens is 540 grams which is due to the fact that much of the lens is made of either plastic or rubbery plastic (such as the focusing ring). While this does reduce the overall weight this severely compromises the build quality of the lens. If you need a weather sealed lens for outdoor photography then this is not your choice. 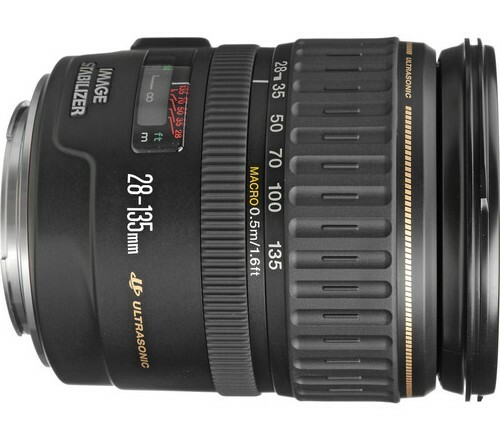 The lens filter thread specification is 72mm.